New bathroom fixtures can be the perfect touch for your bathing area whether you’re conducting a full scale bathroom remodel or simply trying to make a few updates on a modest budget. Fortunately, the home improvement experts at 31-W Insulation are here to help with all of your bathroom fixture needs. For well over 40 years, we’ve provided high-quality products and installations to residents throughout the Cookeville, Tennessee, area, leaving nothing but a trail of happy customers wherever we go. One of the reasons our customers in Cookeville, TN, are so happy with the products and services we provide is because we only offer bathroom fixtures from some of the top manufacturers in the industry, including Moen and Better Home Products. This means that the bathroom hardware you purchase today will look great and provide dependable performance for many years to come. To learn more about having our durable and decorative bathroom fixtures installed in your Cookeville, TN, home, contact 31-W Insulation today. 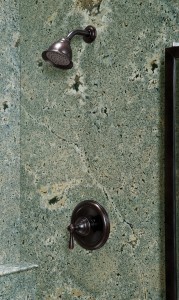 Be sure to ask about further updating your bathroom with our custom mirrors and shower enclosures.